Are you sweet or savoury? 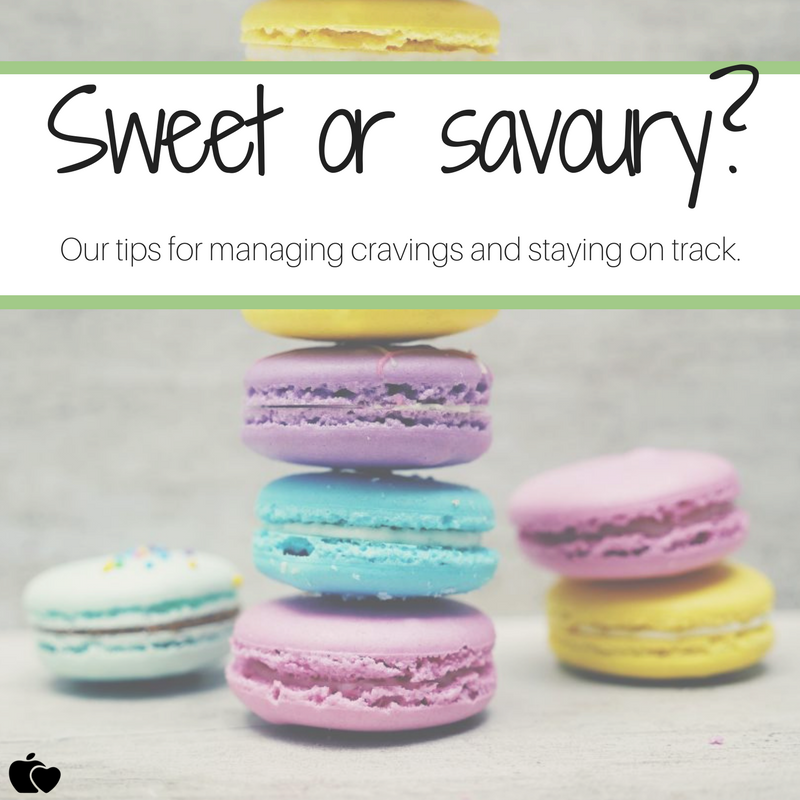 Our tips for managing cravings and understanding what they mean. Most of us will experience hungry days, where we never seem to feel satisfied with whatever we are eating, or how much. Similarly, many of us will experience cravings (i.e. the mid-morning sweet snack or the afternoon caffeine hit). But have you ever considered them meaning something more? Our emotions, stress and anxiety can all impact our want for certain food types. For example, bread, biscuits and cakes can have a calming effect on us – the perfect treat for when we’re feeling sad or stressed. This is because carb-heavy, sweet foods boost the levels of serotonin in the brain, also known as the ‘happy hormone’. While you may think it’s your stomach leading the way when it comes to cravings, it’s far more likely to be a message from your brain. If you’re stressed, your brain will naturally try and improve your mood, and so releasing these signals will urge your body to consume carbs and sugar as an attempt to make you feel better. Despite this being a natural occurrence, if you’re turning to cakes, chocolate, coffee and bread every time you are under pressure, you may come to rely on them. 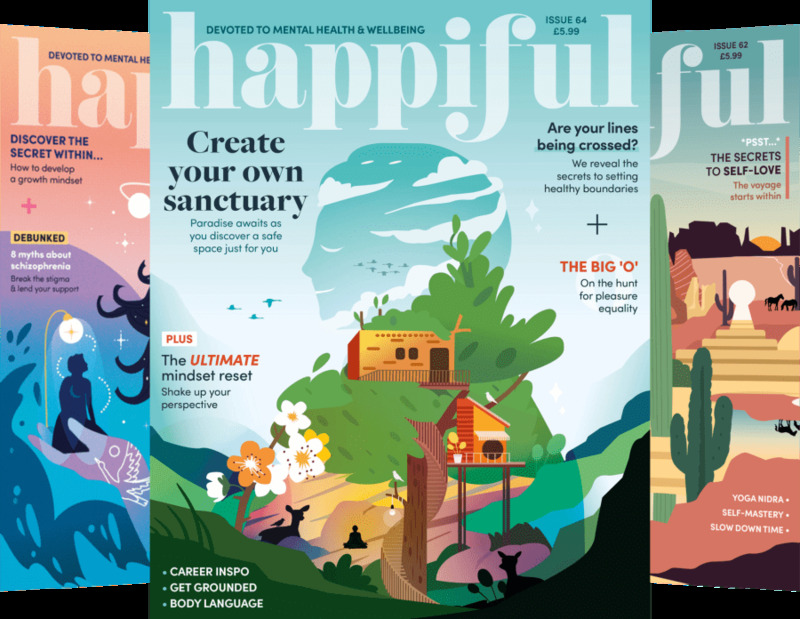 Comfort eating can become a vicious cycle, affecting both your physical and mental health, so here are some ways you can manage the cravings and keep on track. Often when craving something sweet, you won’t be satisfied until you’ve had that ever-so-enjoyable sugar hit. 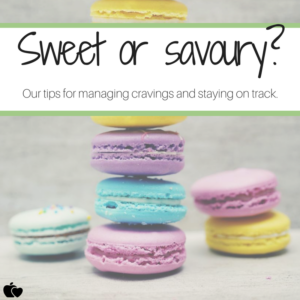 We’ve gotten into a habit where we feel we ‘deserve’ a chocolate bar or an extra dessert after a long day or when feeling down, but there are many ways you can satisfy your sweet tooth without reaching for a chocolate bar straight after lunch. If you’re a morning sweet tooth, consider adding banana or raspberries to your porridge, with a drizzle of honey. If you’re more of an afternoon to evening person, snack on an apple with peanut butter or mix berries with some natural yoghurt for dessert. Fruit has been getting a bad rep recently for being high in sugar, but it’s also packed full of all the good things our body needs, so don’t stop eating it – just enjoy in moderation! To learn more about sugar and healthy eating, speak to a nutrition professional. They can assess your current eating habits and support you on your journey. If you can’t stop thinking about eating a packet of crunchy, salty crisps, there’s a high chance you’re actually thirsty. The trick is to have a drink before giving in to your craving – give it a moment and then decide whether you really are hungry, or if you were just wanting to eat. When you’re craving the crunch, there are some great alternative recipes to satisfy your needs. Having a handful of mixed nuts can be perfect for when you feel peckish, and the healthy fats found in nuts can help keep you fuller for longer. Also, baked chickpeas seasoned with paprika and chilli powder have a similar crunch to crisps – perfect to satisfy any savoury craving! The key to managing cravings and endless snacking is to be prepared! For a sweet and savoury snack, try this chocolate and chickpea trail mix recipe. 5 reasons low GL way of eating works for weight-loss Has the 'iifym' craze created a distorted relationship with food for some people?